Light, portable Windows Explorer-like encryption tool that password protects and encrypts any sensitive files, folders as well as encrypts their file-names. 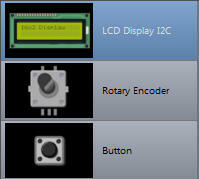 Visual rapid development tool for creating micro GUI for arduino with LCD displays, rotary encoders and buttons. It generate fast message based code for Arduino ATmega microprocessors. Version 0.11 shows a general working direction and the concept. 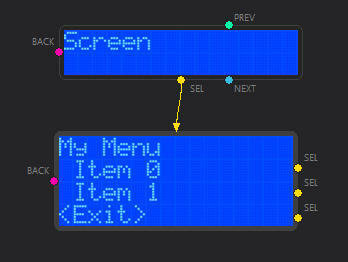 You can already design basic menus and screens flow, then generate the code. The version will generate code for: • 16x02 LCD display with I2C backpack (the most common type) • rotary encoder, both 1 pulse per detent and 2 pulses per detent are supported • buttons While you can switch the LCD to the larger 40x02 display there is not yet code for that. The designer interface and logic is based on the Photo-Reactor as a node based editor. You drag items on the “canvas” then connect their outputs to another item. 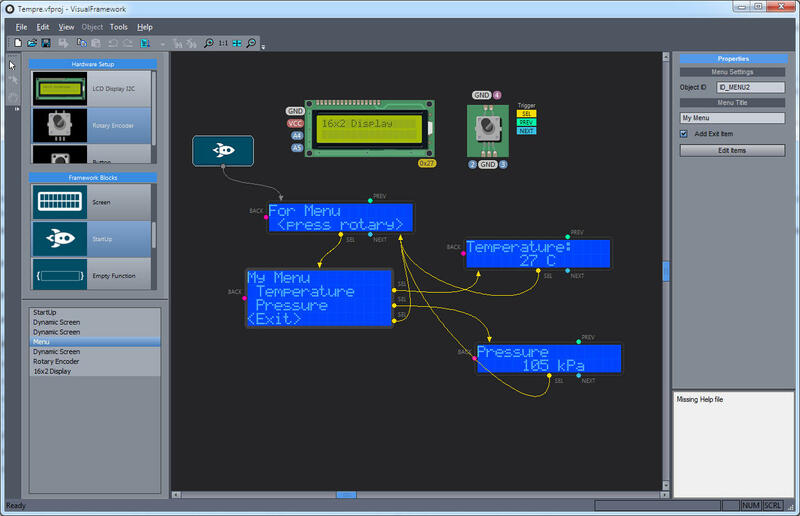 Since this is a response-action based GUI system, the connections are “triggers”: for example pressing a button will generate SEL trigger or turning the rotary encoder generates either NEXT or PREV trigger. You do not actually connect hardware items such as monitor, button or rotary encoder, you only place them on the canvas and set their properties so the system understands what hardware make those triggers. For example dragging rotary encoder will automatically create the hardware connections and shows it uses PINS 2,3 and 4 (later there can be a hardware connection view that will help you to easily connect the items to arduino visually) Then it also shows you what triggers this hardware can generate: it shows SEL, PREV and NEXT Now if we add a software block - Screen for example, it shows that it can potentially respond to all 4 currently supported triggers BACK, SEL, PREV and NEXT. That means while this display is ON user can click the rotary button or scroll it one or another direction and the program then can go where we connect those trigger pins. It is important to mention that the whole generated code is 100% non-blocking so as the screen “waits” for your input, the program loop executes as usual (so your arduino can measure, test etc…). More, the screen will in fact use smart code where it sends lines to the display only when needed so it doesn’t waste any cycles from the loop (it is common mistake to continuously redraw the display with the same thing which slow down other responses).  Now lets look at the screen object options (right side of the screen), it shows few things that are properties of the object. First is the Object ID. This is important unique handle of the object. 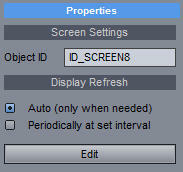 So for example in the code if I want to manually display this object at any time all I need to do is to just call VF_DisplayObject(ID_SCREEN8); Next option is Display refresh, it can be automatic so it will refresh the display only when there is an change - this is good for a typical static screen. We can anytime refresh display manually from the code if we need that by calling VF_Invalidate(); Periodically at set interval will refresh the display every set amount (in milliseconds). This is good option if we are displaying constantly changing data (temperature, time etc…). Having an interval avoids the common mistake of junior programmers: displaying and measuring live data as fast as possible in a loop (ATMega 328 runs on 16MHz!) which slows down everything else to the crawl. So let’s say we want to go to the menu from this screen when user press the rotary encoder. All we need to do is to add the menu, then connect the Screen with the menu. This is done exactly the same way as in Photo-Reactor by simply clicking on the trigger pin (in this case yellow circle SEL) and dragging the line to the menu while holding the mouse button down. We can see the menu does respond to SEL and BACK triggers. There is no NEXT or PREV triggers, because those are handled internally by the menu code for moving between items, we don’t have to worry about that. 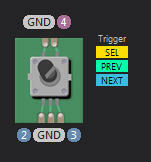 Each item SEL trigger can do some action for example go to another menu, go to screen, call a function etc…. There is a simple provision for calling functions by using the Empty Function block or a Code block. (Both do the same thing right now). Function blocks have one special PIN which is unnamed, but it is a pass through pin, this is where you will end up when the function returns. So we can connect SEL pin from a menu item to this function and then from the function to another screen, menu or just go back to some initial screen. This will give us in the final code a distinctive function named exactly as we set in the object properties mySetSomething() where we can add stuff we want to do. 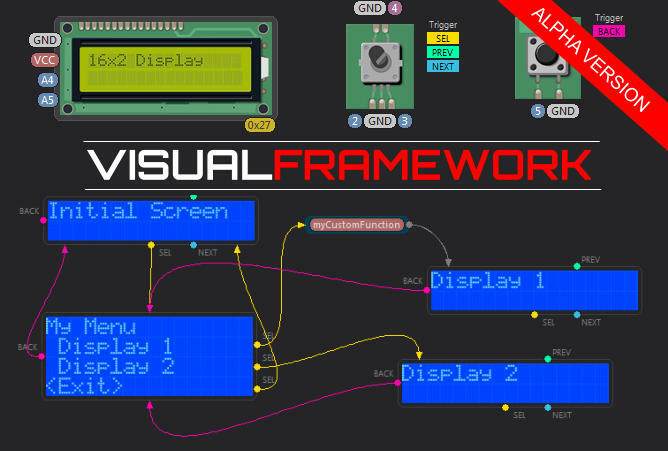 Message Based System It is probably time to mention that the Visual Framework uses a micro message based system to go to a display object after a trigger; a similar concept is used in big operating systems. So pressing a button will not directly call a “display_screen()” function, it will fire a message (the Object ID of the screen) and then the screen will show up at its proper time when it is free to do so. This has many benefits; it produces ultra light code that feels “fast” because everything has its proper time and proper structure. (you do display code IN display function, not everywhere you want) It also frees programmers from bad habits such as putting purposeful delays in the code. LCD display , the most common 1602 or 4004 with I2C (yes the one from ebay). This object can be switched to the large 4004 (4 line display) but currently the VF doesn’t support it yet in v 0.1. You can also set I2C address in the properties. Rotary Encoder. 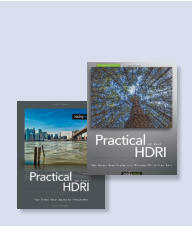 This will automatically set interrupts on pin 2 and 3 for smooth and super responsive ride. The switch pin will be always on 4. The properties can be used to set 1 click per pulse (such as 12P/12D) or 2 clicks per pulse (such as 15P30D). Also you can specify that the encoder has already internal pullup resistors. Will generate a function in your code that will be called from the trigger action. For example pressing Select button in your menu can first call your function, then go to another menu or screen. 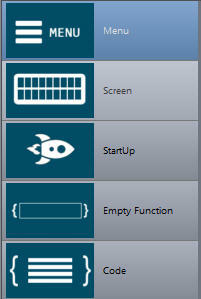 Helper functions to be used in your custom Screen Display function. The code generated in the INO file when you add Screen has explanation how to properly use each of those functions. These functions will avoid unnecessary redrawing of the display that takes cycles out of the important parts of your sketch. No, not at this moment. In order to build the app quickly without writing a lot of new code for which I don’t have time, I re-purposed the Photo- Reactor software, which itself uses some third party libraries… but maybe one day when the framework is stable a new open source designer can be build, from specifications, (preferably by someone else). The GUI and the framework are two independent entities, the GUI uses the code template to build the source code. Subscribe to stay notified about new releases, discount offers and get instantly 10% off your first order! This is a working pre-Alpha version (mostly a proof of concept at this stage) not a finished product.